For one thing, Wuyi Mountain in northern Fujian Province is the place where oolong tea, or rather the associated processing variation of tea leaves, was invented in the first place. This was back in the 16th and 17th centuries, during the times of the Ming Dynasty. Secondly, Wuyishan is home to the famous rock oolong teas, or Yancha oolongs. In Wuyishan, oolong tea varieties such as Da Hong Pao, Tie Luo Han, Bai Ji Guan and Shui Jin Gui have been native since time immemorial. 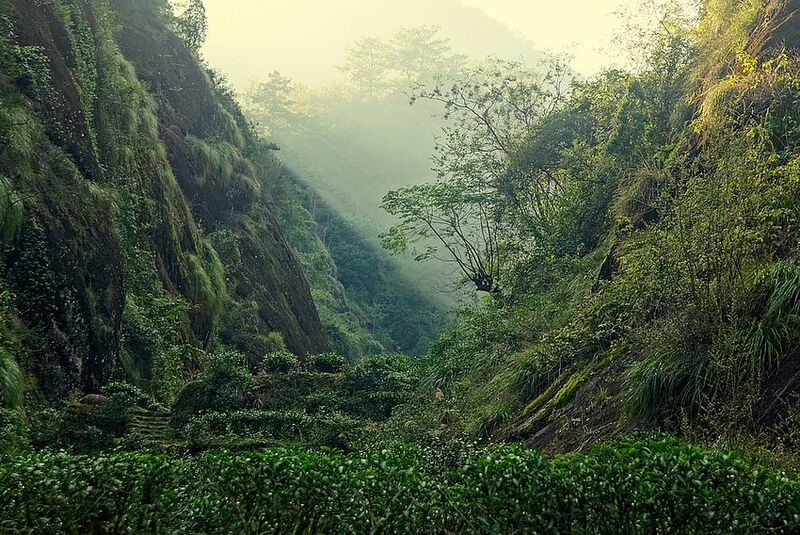 The special mineral composition of the rocky soils in the once volcanic Wuyi Mountains bestows unique flavors and aromas on the tea growing there. Therefore, other tea cultivars were brought in from outside Wuyishan over time. And the most famous of these, Rou Gui and Shui Xian, are now just as synonymous with Wuyi Yancha Oolong teas as the region’s native varieties. 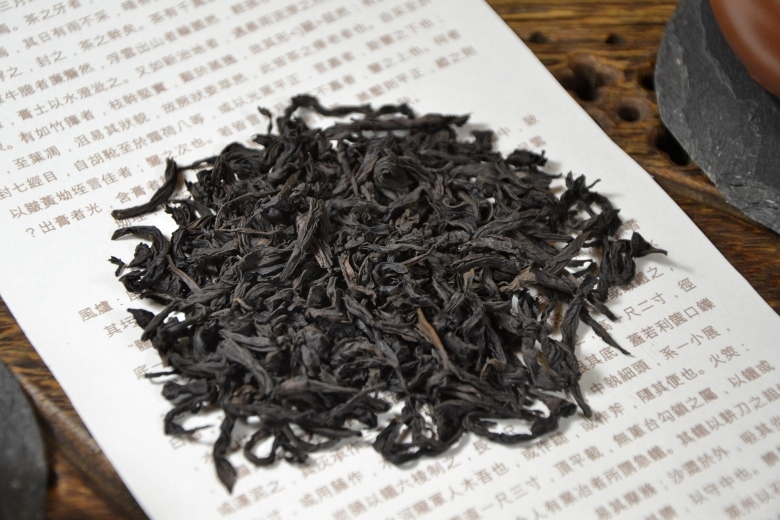 Besides those rock or Yancha Oolong teas, Wuyishan owes its special status in the world of tea to black teas from the native “Bohea” tea plant variety. Here, Lapsang Souchong and Jin Jun Mei are big names that every tea lover will inevitably encounter soon upon entering the world of Chinese teas. When it comes to Wuyi rock teas, the geographical borders of the area with the characteristic set of geological features ensure a per se limited availability. Once, those boundaries were demarcated by the area’s natural borders. However, with increasing popularity of tea from Wuyisha, they were extended further and further. 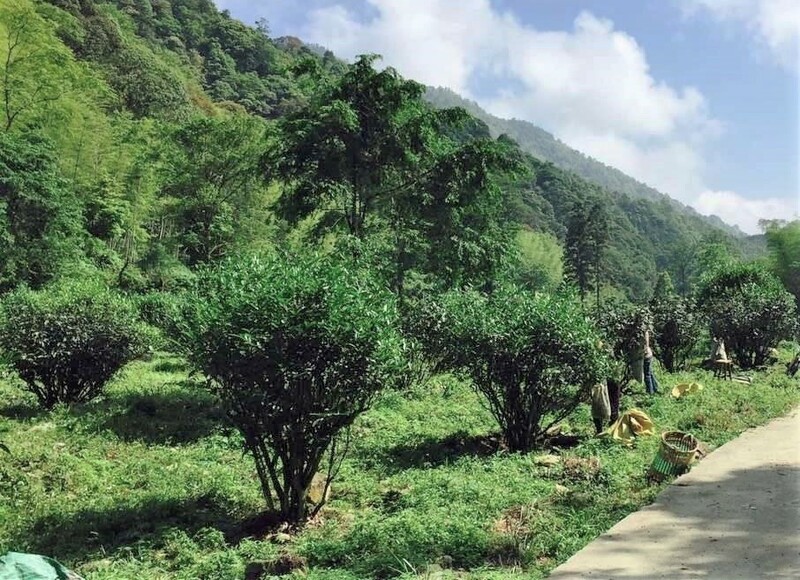 As a consequence, to keep authentic Wuyi Yancha oolongs and bohea black teas identifiable and distinguishable from “imitators” from surrounding areas, the region is divided into 3 zones of tea cultivation: Zhengyan, Banyan and Waishan. At this, “Zhengyan” refers to the actual core area of ​​growing authentic Wuyi Rock teas. Further, “Banyan” stands for such peripheral areas of the Zhengyan zone, where natural conditions approximate those of Zhengyan. And “Waishan” refers to all “out-of-the-mountain” cultivation areas. This doesn’t mean that there wouldn’t be tasty teas from there … It’s just that they won’t be authentic Wuyi Yancha teas, which – of course – makes a difference in taste, too. 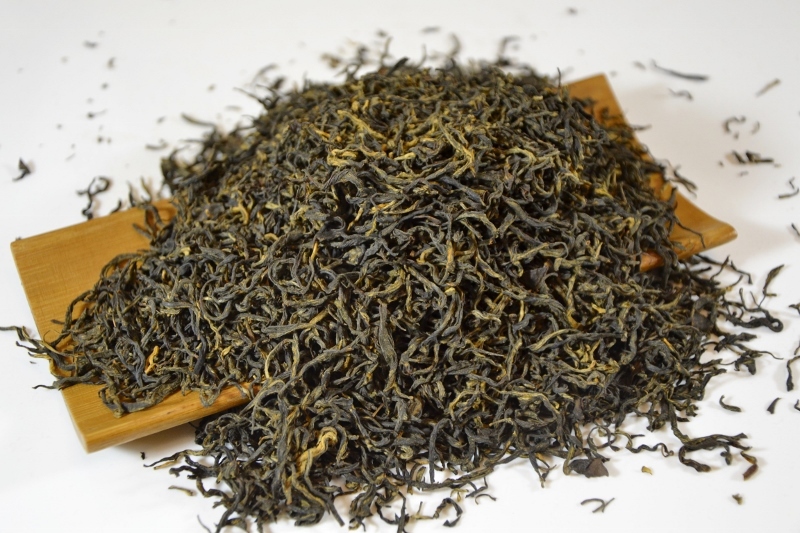 Lapsang Souchong, Zheng Shan Xiao Zhong, Lapsang Jin Jun Mei – all the same? 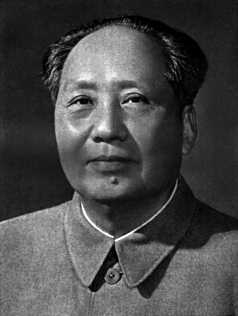 Anyone familiar with the history of the Chinese Cultural Revolution might know that Mao Tse Tung wasn’t a great friend of tea. What might have discomforted him with our favorite beverage back then might have been tea’s ubiquitous association with the Chinese empire. After all, it had always been the emperor’s court, whose imperial dynasties had been nurturing China’s national tea culture. Accordingly, it is the classic imperial “tribute teas” that predominantly populate the “Greatest Teas of China” list to this day. 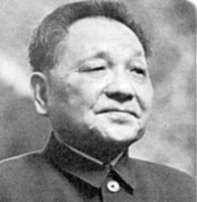 In the days of Deng Xiaoping, the land was divided among the tea farmers as part of a major land reform. As a cooperative farmer, Cindy’s grandfather also got his piece of the cake. 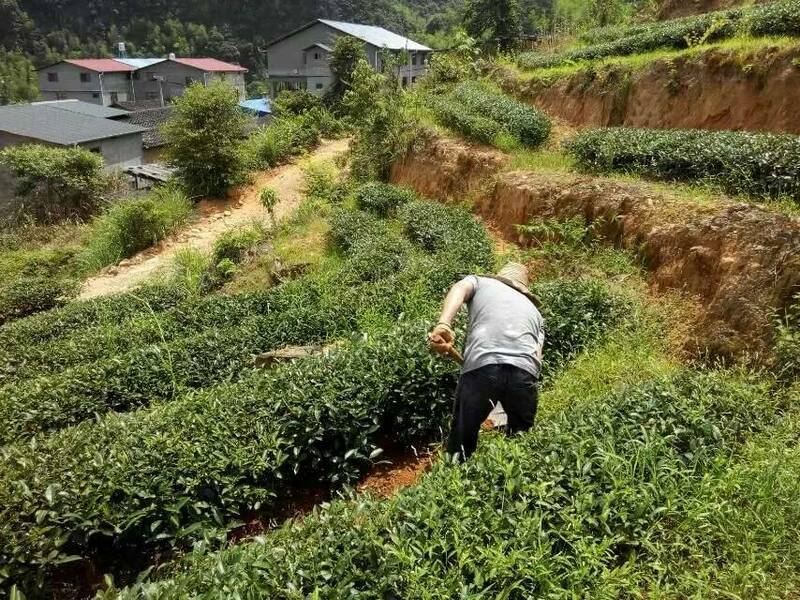 And where he once tended his first own tea garden, his granddaughter today plucks treasures such as “Lao Shui Xian” and “Lao Rou Gui”… Tea from over 100 years old Wuyi Rock Oolong tea bushes. 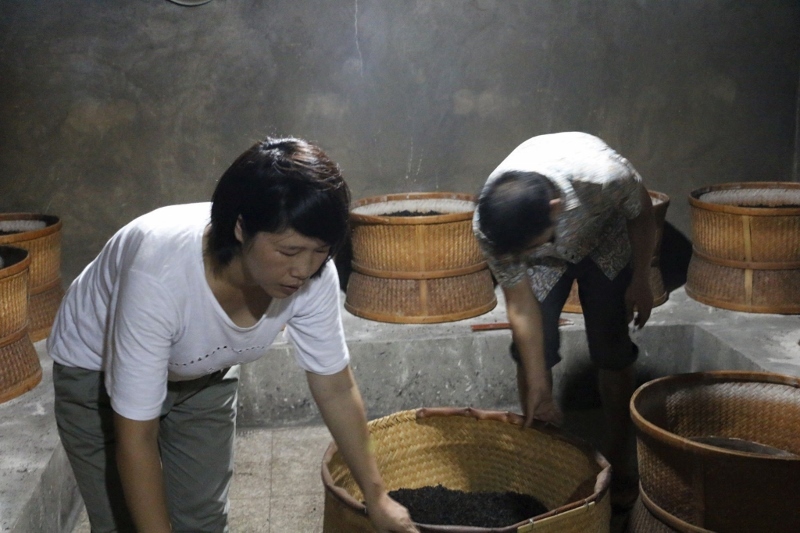 Now, not every co-op worker at Wuyishan had been dreaming of a life as a tea maker. Rather, the land’s equivalent in cash was the more attractive alternative for many of the new-fledged landowners. Accordingly, there was a time when good tea land with proper tea bushes was cheaply available in Wuyishan. The Chen family was not among those selling their land. Rather, Cindy Chen’s father took the opportunity to acquire additional tea gardens. And a lot has changed since back then… For example, tea land in the core cultivation zone for Wuyi Rock Tees has become a precious possession now. This is because authentic Wuyi teas now achieve top prices both on the Chinese and international markets. A look at the map shows that Mr. Chen knew very well what he was doing. His tea gardens are right where the best Wuyi rock oolongs and Bohea black teas are growing. 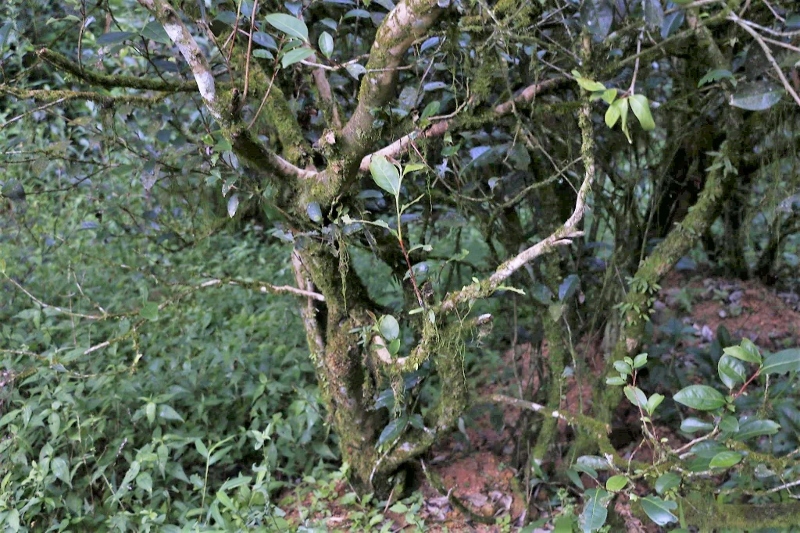 The former in the “Zhengyan” realm, the core area for authentic Wuyi Yancha (rock) oolong teas. And the latter near the village of Tong Mu, the birthplace of world-famous bohea teas such as Lapsang Souchong or Jin Jun Mei. So, our Zhengyan Spring Shui Xian Yancha Oolong tea comes from the family’s tea garden near Shui Lian Dong (水帘洞 = “Water Curtain Cave”). Then, the tea bushes yielding the leaves for our “Zhengyan Rou Gui Yancha Oolong tea” thrive at more than 800 meters on Lotus Peak (峰 峰 Liang Hua Feng). 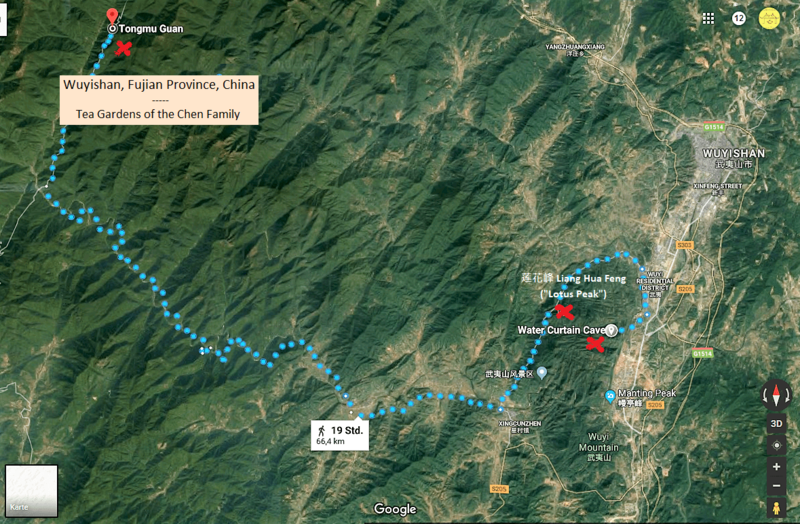 And the tea garden where the Chen family picks the leaves for our “Zheng Shan Xiao Zhong Lapsang Souchong” is located near the village of Tong Mu (桐木 关 Tong Mu Guan), at an altitude of over 1200 meters. 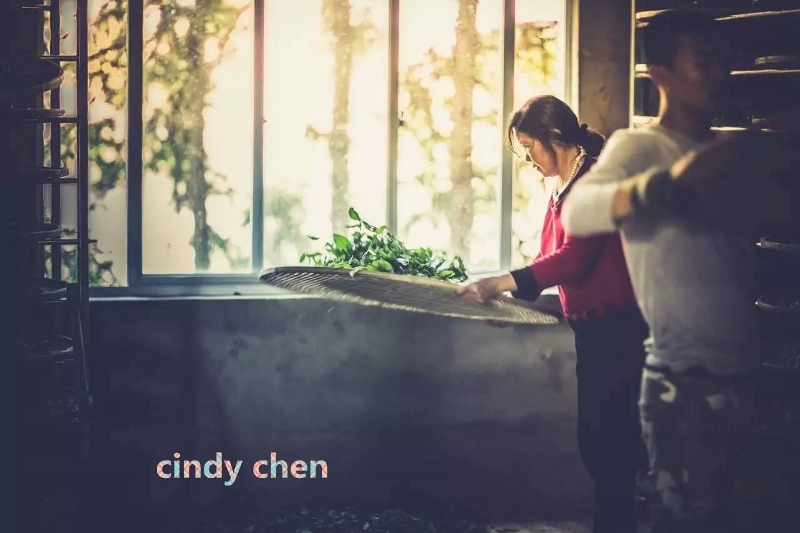 Today, Cindy Chen tends her family’s tea gardens in the 3rd generation. Just like before her father from her grandfather, she learned the art of processing tea from her father. 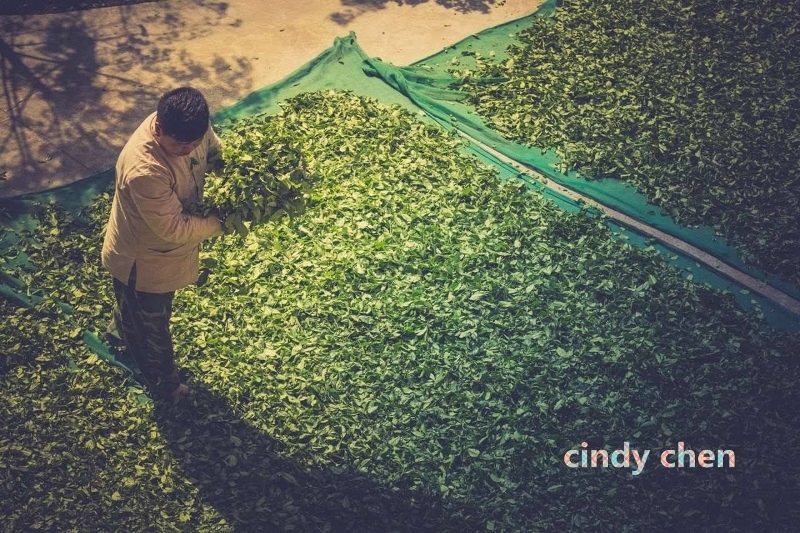 And just like her father and grandfather did before, Cindy picks and processes her teas all by hand in the traditional artisan way. Anyone familiar with tea processing will know that nothing there is as complex and requires as much mastery as the processing of oolong tea. This is particularly true for Wuyi rock oolong teas, where the authentic (Zhengyan) origin is just one half of the rent. That is because people spending a lot of money on authentic teas will certainly also attach importance to high picking and processing quality. And then, there is Cindy’s spouse Eric, descendant of Chaozhou family specializing in the cultivation and production of Dancong Oolong teas. After getting a chance to try some of their single variety Dancong oolongs, I am quite confident that the one or other of Eric’s teas will sooner or later find their way into the Siam Tea Shop.